Bhutan offers a plethora of tourist destinations which are known for monasteries, valley, mountains, Buddhist culture, flora and fauna. Traveling to Bhutan is a unique experience as the destinations offer majestic view of the great Himalayan ranges including Mt. Everest and Mt. Kanchenjunga. 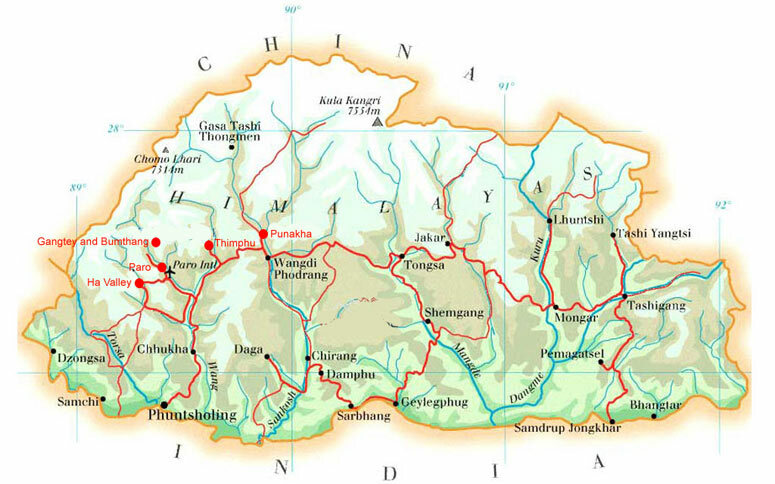 Bhutan travel map is very essential for tourist who is planning for a holiday in Bhutan. Explore famous places of tourist interest in Bhutan with this detail map.